Notwithstanding IRS budget cuts, my tax practice has experienced an uptick of unpaid payroll tax investigation cases. I have also observed that payroll cases are move faster through the IRS collection process than non-payroll cases. I anticipate the IRS will continue to focus on back payroll taxes during the 2017 tax year. In 2015, the IRS launched its Early Initiative Project to stop non-compliant businesses from accruing back payroll taxes. The goal of Early Interaction Initiative was to enhance the Federal Tax Deposit (FTD) Alert process by finding delinquent taxpayers before they filed their Employers Quarterly Return (Form 941). FTD Alerts identify semiweekly depositing employers that are not compliant with their payroll tax deposits. Once the IRS was alerted of a missed payroll deposit, a Revenue Officer, an IRS Collection personnel, would contact the business before the filing of the Form 941. Therefore, the goal was to curb back payroll taxes before they occurred. I wrote a blog about the Early Initiative Project that can be found here. Last year, the Department of Justice issued a reminder that businesses must comply with their payroll tax responsibilities. In its release, the Department of Justice stated that it was committed to enforcement action against businesses that fell behind on payroll taxes. DOJ warned that noncompliant businesses are exposed to civil and criminal action for failing to withhold, report, and pay employment taxes. The link for the press release can be found here. What are the Types of Unpaid Payroll Taxes? A payroll tax is comprised of income tax, Federal Insurance Contributions Act (FICA), and the Federal Unemployment Tax Act (FUTA). The federal income tax is collected by the employer through withholding. Half of the FICA taxes, which fund Social Security and Medicare, are the employer’s responsibility while the other half is the employee’s responsibility. The employer’s half is withheld from the source of the payment. The final type of payroll tax is FUTA which is the employer’s responsibility. Trust Fund Taxes are the employees withholding and the employer’s share of the FICA taxes. Similar to a sales tax, the monies are collected by the employer and held in trust for the benefit of the Government. The government is serious about the collection of the trust fund taxes because failing to collect and remit trust fund taxes is embezzlement. By failing to pay your payroll taxes, you are misappropriate taxes placed in trust. Willfully fail to do so, or willfully attempt in any manner to evade or defeat the tax or its payment. Both requirements must exist simultaneously for each quarter that a payroll tax is due and owing. State protection afforded to limited liability companies will not circumvent the assessment of the TFRP. Further, a tax bankruptcy will not discharge trust fund taxes. Therefore, the same elements under the civil statute are identical to the criminal statute. The individual must be responsible and willful. When a business fails to pay its payroll taxes, the IRS investigates individuals it believes were both responsible and willful. The individuals can be the owner of the business, a shareholder, member, investor, payroll company, officer, employee, signatory on a bank account, etc. The goal of the IRS Revenue Officer is to go after as many pockets to collect unpaid trust fund taxes. If the IRS satisfies the prerequisites of IRC 6672 (responsible and willfulness), it will propose the Trust Fund Recovery Penalty. In its investigation, the IRS may request a financial disclosure on a Collection Information Statement for Wage Earners and Individuals (Form 433-A) to ascertain if the target interviewee has collection potential. In order to establish a case for a responsible and willful party, the IRS Revenue Officer will conduct a Form 4180 (Report of Interview with Individual Relative to Trust Fund Recovery Penalty or Personal Liability for Excise Tax). The Form 4180 interview is a structured interview that mimics the statute and caselaw to ascertain whether a person is both responsible and willful. In addition, the Revenue Officer will go out in the field and investigate. The Revenue Officer may issue a bank summons, visit the business, the taxpayer’s home, etc. What is concerning about a 4180 interview is that a Revenue Officer will request that the target interviewee signs the interview under the penalties of perjury. If you are admitting to the government that you are both responsible and willful for the failure to remit payroll taxes, then you are providing the government direct testimony under the penalties of perjury to committing a crime under the criminal statute 7202. After all, both of the prerequisites are identical (responsible and willful). Accordingly, the interview exposes the target to criminal exposure. This is why you should hire a tax attorney when the IRS investigates you for the failure to pay payroll taxes. The Form 4180 interview benefits the government and not the interviewee. Often, a Revenue Officer will rush a taxpayer through the interview and have them sign the document before allowing the interviewee a chance to review their responses. It’s not uncommon through a Freedom of Information Act request to uncover misinformation on the Form 4180. If investigated, you must take time to carefully review the form before signing and request a copy. A tax attorney can assist in preparing you for the interview. Being interviewed by the IRS for back payroll taxes is serious. You can expose yourself to criminal prosecution and large civil liabilities. Unlike unpaid income taxes, back payroll taxes is a form of embezzlement. How to comply with a government investigation is critical. In large back payroll cases, it could be dangerous to conduct a direct interview with the IRS. What you say can be held against you if the government decides to prosecute under the criminal statute 7202. 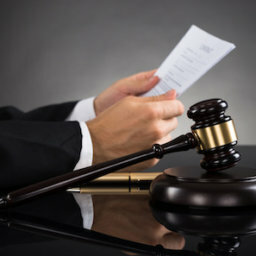 A tax attorney can assist in deciding whether to cooperate with the government’s investigation. On the civil tax side, the personal exposure can destroy you financially. Sometimes good intentioned people start their dream businesses and due to unforeseen events get behind in payroll taxes. These are people that never dreamed of having a tax problem. 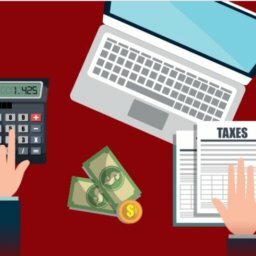 Unlike other business debts, back payroll taxes cannot be avoided if you shut the business down or file a tax bankruptcy. That’s why it’s important to understand all of your options, including, but not limited to, appealing the government’s proposal, suing the government in US District Court, or resolving the back taxes with an installment agreement or a tax settlement known as an offer in compromise. The IRS is neither in a position nor allowed to provide legal advice. A tax attorney can guide you in the right direction and work to resolve your tax matter in the most efficient manner. Contact the Law Offices of Todd S. Unger the moment the IRS contacts you to conduct an interview (877) 544-4743.